Pharmaceutical companies rely heavily on custom medicine boxes. These boxes are made for packaging, shipping, preserving, displaying and selling medicine. What makes them more case sensitive than other boxes is the nature of their contents. Some medicines are vulnerable to heat while others are vulnerable to water; this situation demands the packaging to be proficient enough to protect the contents. For this reason, custom medicine boxes are always very high in demand. 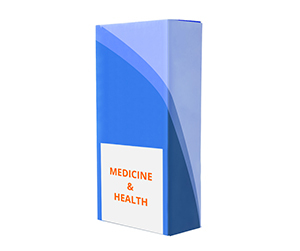 These boxes do not only preserve the medicines and increase their shelf-life, but their customer friendly graphics also make them stand out from the crowd of other medical companies. These qualities steer the target customer towards considering the contents of these boxes, if not buying them immediately. Why Get Custom Medicine Boxes? Custom medicine boxes are made for many different purposes. Apart from the basic purposes that all custom box serve e.g. branding, marketing, and sales appeal, they are also very helpful in certain cases where medicines need more than usual protection. There are a certain type of medicines which are meant to be kept in cold storage and they should be protected from UV exposure. In this case, spot or full UV protection can make your custom boxes 100% safe from the ultraviolet rays of Sun. Also, there are some products that cannot be exposed to moisture. They cannot get wet or otherwise they will be useless. To protect such medicines, you should get an aqueous coating on your custom medicine boxes. With aqueous coating, water, moisture or rust cannot affect the medicine. Apart from these very important customizations, you can use a lot of other options pertaining to size, shape, color, material, and finish etc. For example, you can choose from wide range of materials including corrugated fiberboard, Bux Board, Kraft and Cardstock etc. Also, you can choose matte, gloss, gold foil or silver foil finishes. If your medical product is of such a nature that depends on display and other marketing tactics, you can get a custom die-cut window pane or PVC sheet to make a good impression. Other options include embossing, raised ink, debossing, scoring, gluing and perforation etc. Why Get Customized Medicine Boxes from PackagingBlue.Com? 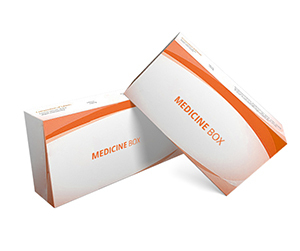 We provide customized medicine boxes at very affordable rates and with zero shipping charges or hidden charges. We have entire customer support team to deal with your pre-sale concerns and address your post-sale queries or concerns. Also, we have a sales team to make sure that they get the exact details of the packaging that you need. This way, we ensure that our packaging engineers and experts do not make any mistakes while printing your custom medicine boxes for you. Last, but not the least, we always adhere to green environment policy. This means that we adhere to printing and using eco-friendly materials. Our materials are biodegradable. Also, they pose no harm to kids and no cruelty to animals. Still got some questions in mind? No problem, if you want to learn more about our custom medicine packaging, please contact our 24/7 customer support team right now.